ONLY 18.8% of Malaysian IT management is implementing IT that is aligned to business needs, even though they have a reasonable level of understanding of their core business requirements, according to an IDC study. 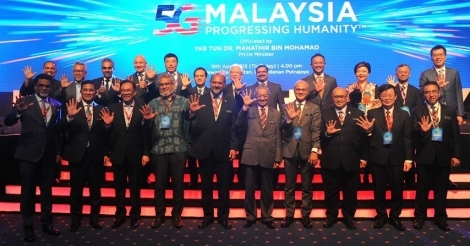 The study, commissioned by the national ICT custodian the Multimedia Development Corporation (MDeC), surveyed IT decision makers and influencers in 101 large Malaysian companies, IDC said in a statement. “Whilst 32.3% of respondents indicated a robust approach to IT planning and based it on the changing business needs, 46.7% of respondents were less forward looking and based IT decisions around available budget or on legacy applications and skills,” said Simon Piff, associate vice president, Enterprise Infrastructure, IDC Asia/Pacific. The study showed that while respondents were able to articulate the key business strategies, which were around growth and acquisition, all IT strategy and tactics were designed to improve efficiency and reduce cost -- and none called out any project or IT strategy that directly supported this business expansion strategy. In addition, data centre outsourcing is not well thought of with cost or price being cited as the main inhibitor; however a significant number of respondents have never considered it. Other forms of outsourcing are well-established, with cloud computing on the radar of all respondents, IDC said. MDeC launched the series of forums and educational workshops in partnership with IDC in an effort to boost Malaysian CIOs’ efforts to address the challenges associated with surviving and thriving in a rapidly changing and competitive marketplace more efficiently, MDeC had said earlier. “Today’s workshop is focused on how businesses can improve their ability to be more strategic with ICT investments so as to ensure that ICT strategy is better aligned to business strategy and goals,” said MDeC chief executive officer Badlisham Ghazali. At the workshop, Avneesh Saxena, group vice president of Domain Research Group at IDC Asia/Pacific, said that there was an imminent need for CIOs to evolve, adding that it was important for CIOs to acknowledge the changing business landscape and be ready to become the facilitator for business change using IT. “IDC believes a number of important stakeholders will appear and become strong influencers of the kind of IT a business will have in the next four years. In this regard, businesses will expect the CIOs to be on the cutting edge of adoption of new IT services,” he added.